Social Media – it’s great to be sociable ! Where do you turn when your business slows down or reaches a point where it stops growing? Well that is the question I asked myself, working on an organic vineyard in the beautiful south west of France and a in a wine shop in Hale, a few months ago. 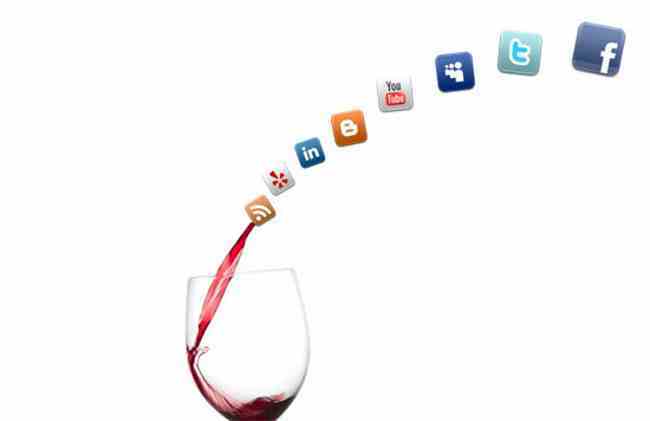 Well grab a glass of wine, sit back and look no further guys, organic marketing and social media are the answer. Nowadays, most social businesses don’t use their capacity to their advantage. It’s easy to employ a marketing company, spend a lot of money, and not see any results. A friend of mine has a successful optical instruments online business and decided to outsource his Google ads campaign to a marketing company. After 6 months of paying high management fees he decided to end it and he saw no difference in his sales or website visits. This is why I went out there and studied SEO at the University of Salford as you are never better served then by yourself. Maybe now is the time to mention that this blog is written by a glamorous blonde, and so will not be full of complicated words and non-understandable long statements about how you can go in the back end of your website and change every small details and correct mistakes. Time to employ a descent IT professional. However, there are still many things you can do by yourself. So, to get back to how you can make a massive difference in your business, social media is a great opportunity. You’re probably thinking that I’ve lost the plot, that everyone uses Facebook, Twitter, Linkedin and other social websites; but do you use them the appropriate way? Probably not or you wouldn’t be reading this post. For a start, pay attention to what happens on the social media. Listen for what social media users are saying about your company, your competitors, and your products, why they love them, why they don’t. Don’t start guessing or thinking you know what people want, because honestly you never know what’s in anyone’s head. You can also find future trending topics, and maybe even spot new markets and products opportunities. Isn’t this great? Now that you’ve done this, you can start populating your social media content. The great thing is by listening to others, you will now have a better idea of what to post, what will be shared, talked about and even referred to. Be the first to post an interesting and relevant news and gain more customers awareness. To make your customers connected with your brand you need to engage with them, make them feel they matter to you. The hardest thing is that you might sometimes get negative feedback as you can’t always have happy customers, but the way you deal with them will be crucial for the rest of your social network. Breathe in, stay calm and never step out of place. The customer is –unfortunately- always king. As you don’t get anything for free these days, social ads is a great way to spend your money. Social ads are those ads that are displayed to users who have friends that are fans of the advertised business; they aren’t excessively expensive and can draw more attention to your business and target a specific part of the population. After you’ve made so much effort in putting yourself out there don’t forget to measure your success. By doing this every so often, you will be able to see what works and what doesn’t and with time it will become easier to use social media and you will always be the one knowing all the gossip – and hopefully spreading a few- in your industry. I guess you are at least half way into your bottle of wine by now, so as a last note here are a few tips. Have a strategy, plan what you want to post every week or month so you don’t forget to do it. Social content needs to provide value and encourage action, your post isn’t just here to look good but also to be shared. By using social media wisely, your customers will sell your brand for you, and the best is that social media will help your business dominate the first page of Google. If you ran out of wine by now, don’t hesitate to have a browse on here http://tour-de-belfort.com (free delivery all over the uk). Comments Off on Social Media – it’s great to be sociable !